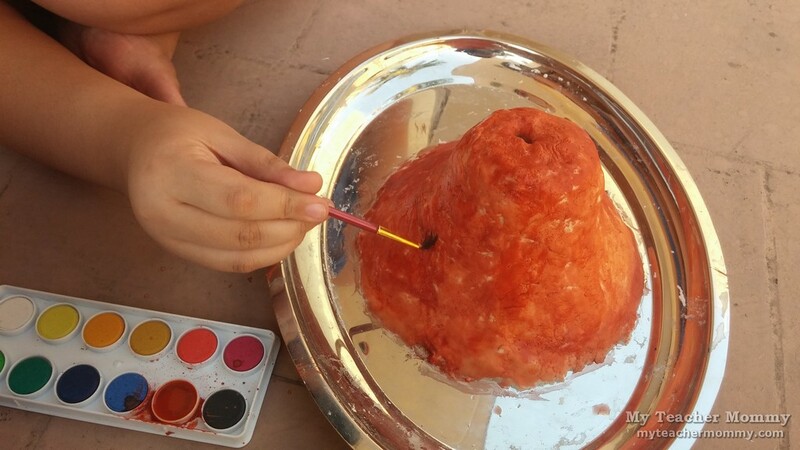 It was only a matter of time before Motito made his own volcano science project for homeschool. He’s done a parts of a flower activity using a lovely alstroemeria (Peruvian lilly) bloom. There’s no reason why we can’t do another perennial science project favorite: the vinegar volcano. 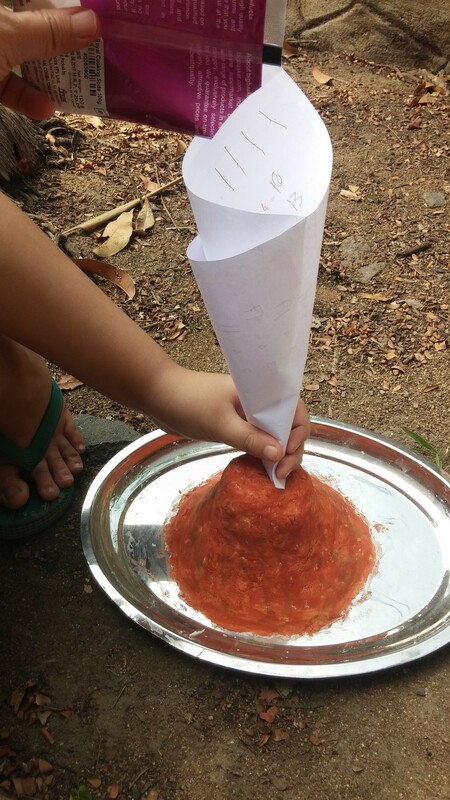 Relatively cheap and remarkably easy, the volcano science project will have your homeschooler erupt in fits of excitement that’s sure to register a 10 in the awesomeness scale. Ha ha. 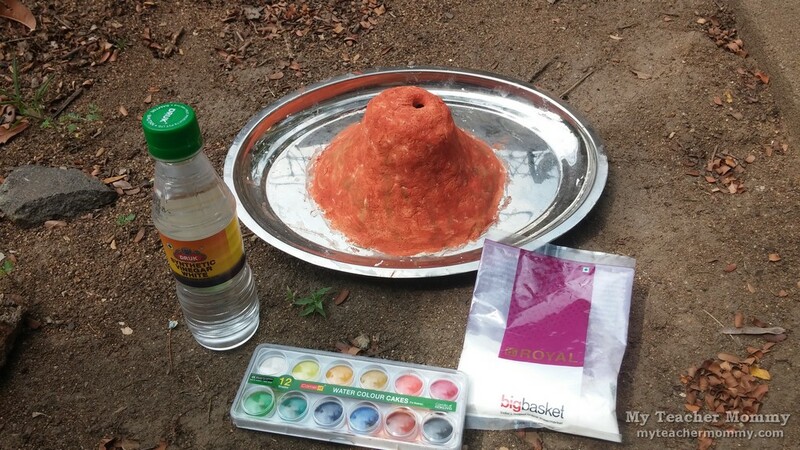 To make the volcano, you can use papier mache, card stock paper, modeling clay, or salt dough. 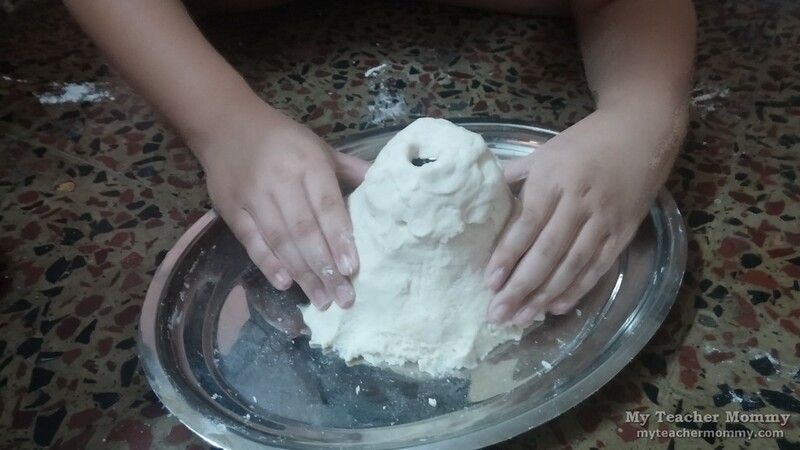 We used salt dough, because it is easy to mold and white flour is relatively cheap. 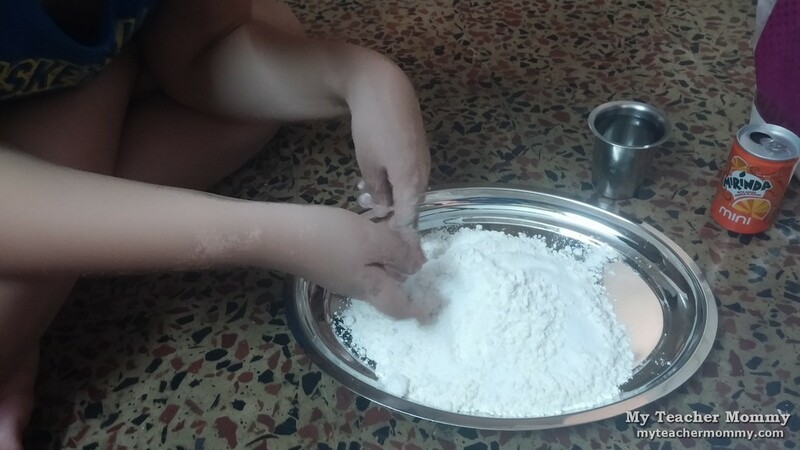 To make the salt dough, combine 6 cups of flour and 2 cups of salt. 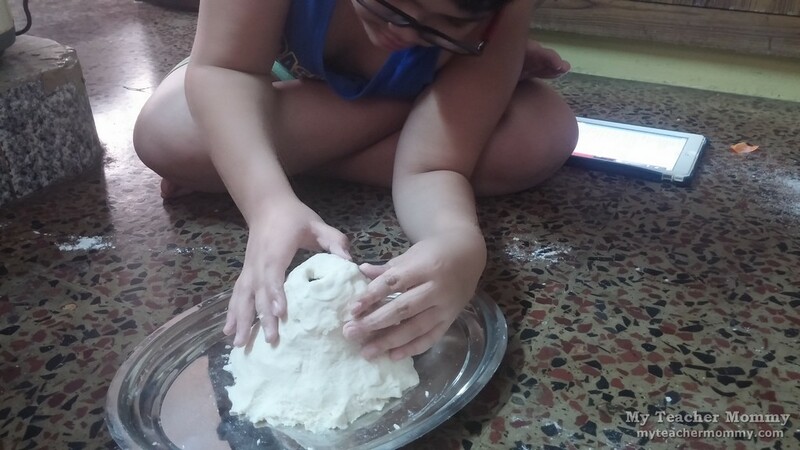 Next gradually add water until you achieve a doughy consistency. 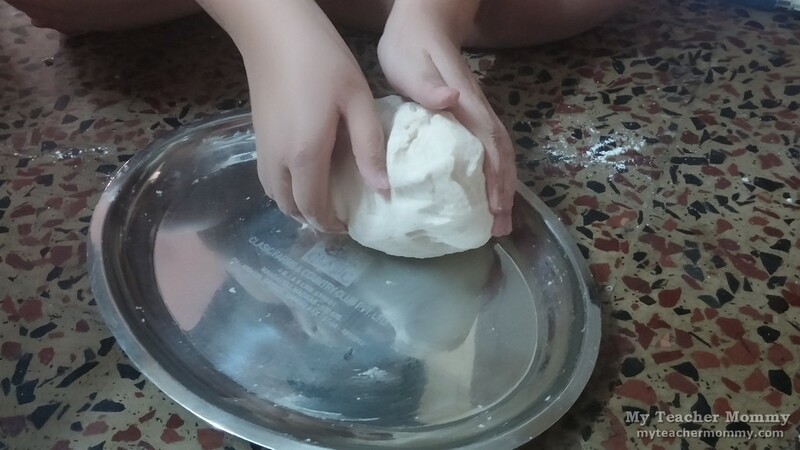 You’ll use approximately 1 to 1 1/2 cups of water to make a smooth and firm dough. You’re also going to need a tray or cardboard to build your volcano on. Next, you’ll need a small container for your volcano’s erupting crater. I recommend nothing bigger than a 200ml bottle, otherwise you’re going to need plenty of salt dough to mold a volcano around it. 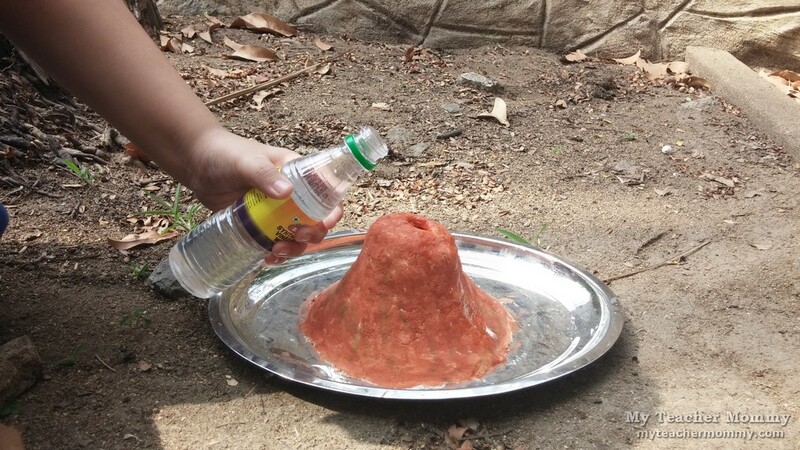 For our volcano’s crater, we used a mini soda can (150ml). We set the can in the middle of a tray and molded our volcano around it. We left the volcano to dry. When the mold had dried, Motito painted its surface with watercolor. 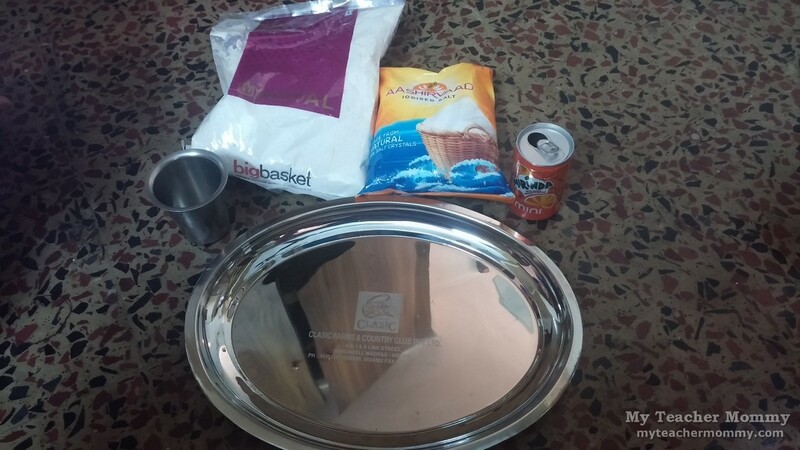 Then it was time to raid the kitchen cupboard for some vinegar and baking soda. 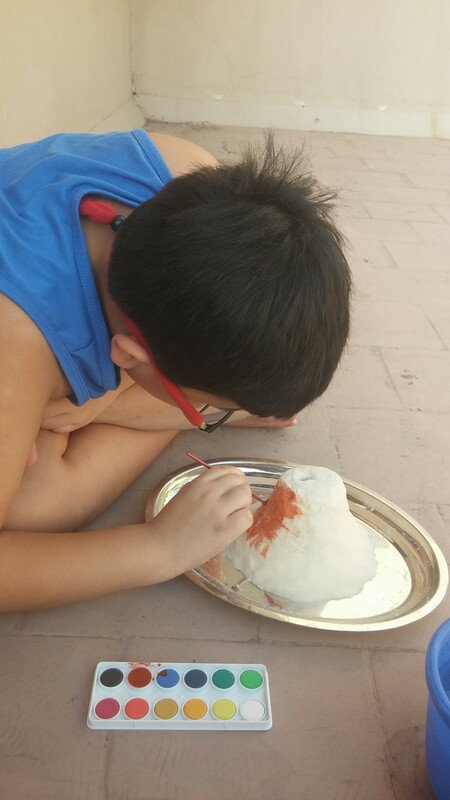 Using a paper funnel, we dropped about 4 tablespoons of baking soda into the soda can/volcano crater. Next, we made some colored water by stirring red water color into two tablespoons of water. Afterwards we poured the red water into the crater. 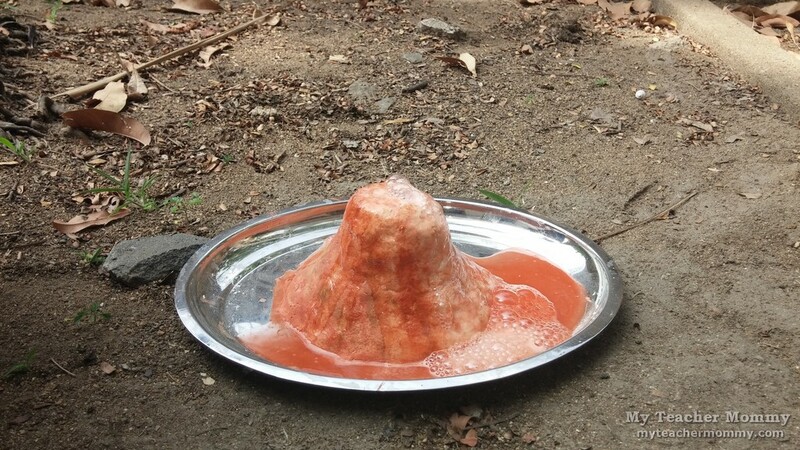 Finally, to make the volcano erupt, Motito gradually poured vinegar into the crater. In a flash, red bubbles gushed out of the crater and flowed down the side of the volcano like real lava. The chemistry is pretty straightforward: the acid from the vinegar reacts with sodium bicarbonate to generate carbon dioxide gas, which bubbles out of the salt-dough volcano’s crater. If you want the eruption to last longer, add a few drops of dishwashing liquid into the crater before pouring in the vinegar.